A Photographer Captured The Beauty Of India's Transgender Community & We’re Besotted! 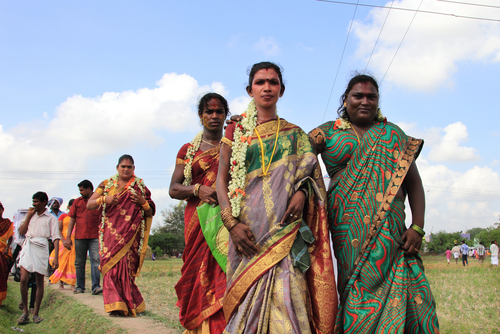 The third gender of India (or the hijra community) have been a part of the country for centuries. Records show a history of over 4,000 years of the transgender community - they were mentioned in ancient texts and that’s a testament of the gender fluid society we come from. In ancient Hindu texts like Kamasutra written sometime between the 400 BCE and 200 CE, the hijras held a significant place in our culture. Even in the Mahabharata and Ramayana, transgenders have been mentioned. The Mughal emperors were also very welcoming and many lived in the court as entertainers and companions. Till now, they play a significance role during religious ceremonies - their blessings are sought after the birth of a child and weddings. However, during the colonial era, the British sought to eradicate and criminalise the community. They were shunned by people and forced out of their homes and the public sphere. But on 15th April, 2014, in a landmark decision by the Supreme Court of India, it was declared that the transgender people would be the ‘third gender’ and they would be granted all the fundamental rights under the Indian Constitution. Four years ago, they got the right of self-identification and choose to be whatever that wanted - male, female or third.They were also granted reservations in admissions to educational institutions and jobs. Despite all the hardships and ostracisation they have faced, transgenders in the country have stepped up and really made a mark for themselves. Here are some of the people from the community who broke the shackles that society bound them by and emerged victorious. At the age of 36, Sathyasri recently became India's first transgender lawyer. 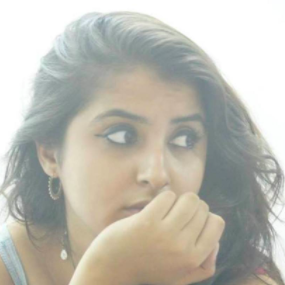 She faced abuse and hatred all her life, but she decided that she wanted to be the face of change for the community and started fighting injustice. In 2015, Manabi became the first transgender principal of a college. Krishnagar Women's College welcomed her with open arms and she even became the first transgender in India to receive a PhD. Mumtaz is the first Indian transgender to contest elections. She is a social worker who contested elections from the Bahujan Samaj Party (BSP) in Punjab from the Bhucho Mandi constituency. 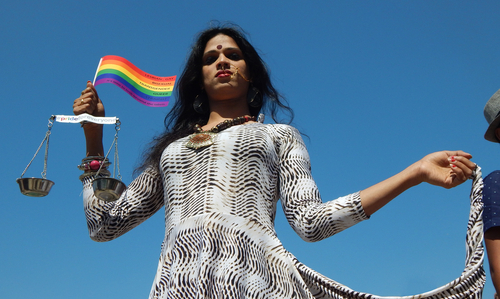 At the age of 29, Joyita Mondal became India's first transgender judge. She has worked tirelessly for hijra rights and this is what inspired her to pursue law. Now meet the Canadian photographer Sarah Hylton who has been featured on Instagram's official page for capturing the transgender community in Mumbai. What a beautifully raw photo series, right? More power to Sara for giving a platform to voices that have been silenced for years. Equality is a basic human right, no matter your gender, caste, creed, or sexual preference.